A McIntosh-style apple. The Lobo is crisp, tart and delicious as an eating apple. 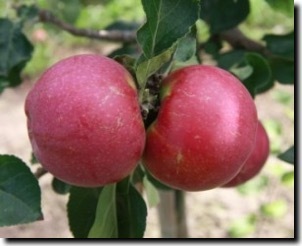 If the name Ginger Gold is unfamiliar, that's because it is a recent addition to the list of apple varieties. It was discovered growing among the twisted uprooted trees in a Virginia orchard in the foothills of the Blue Ridge Mountains. 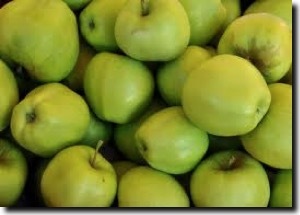 Its ancestors are the Golden Delicious and Albermarle Pippin apples. 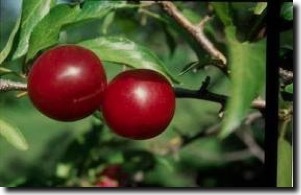 Medium to large, reddish-bronze fruit has yellow, firm flesh with a rich, spicy flavor. Good for eating fresh or canning. Usage: In salads and eaten raw by themselves or paired with cheese. 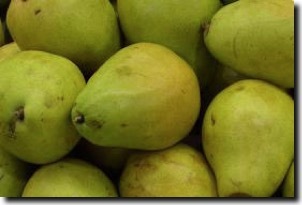 Sweet juicy Anjous are perfect for baking into desserts like tarts.